This entry was posted in bcwebwise, Brand building, Consumer Experience, Customer Experience, Facebook, Facebook Fans, Facebook Likes, Online Advertising, Return on Investment, ROI, Social Media and tagged Close Friends, Close Friends on Facebook, Consumer Engagement, digital, facebook, facebook brand pages, facebook for business, Tips on New Facebook Timeline and Features for Brand Pages by Chaaya Baradhwaaj. Bookmark the permalink. Nice Post! 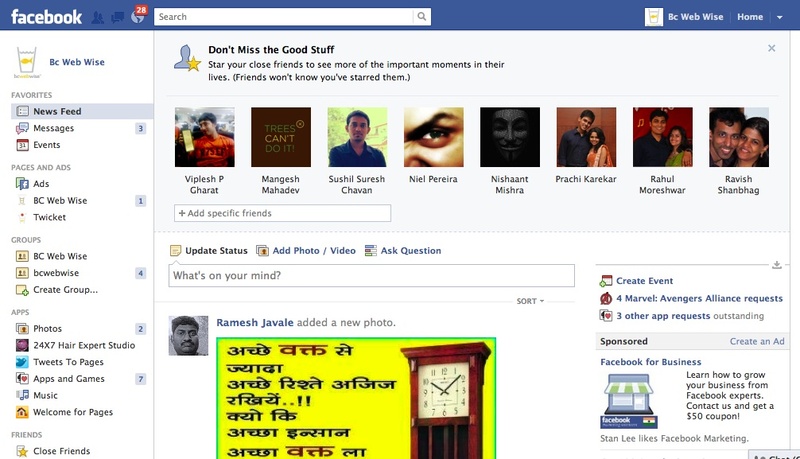 One More interesting Feature for facebook user who want to know more about their close friends activity on Facebook.